A decade ago we launched Acting Responsibly – a unique programme among air navigation service providers globally – and we’ve achieved a huge amount. 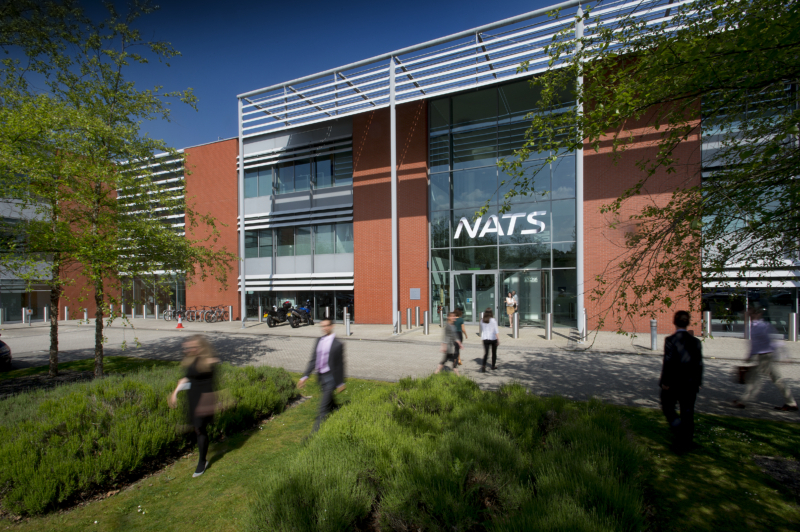 The sheer enthusiasm and passion of NATS employees has seen the programme grow into a rich range of activities. I’d like to share a few of highlights from the past 10 years. Since our community initiative, the Footprint Fund, was launched in 2008 we have donated over £300,000 to support employees in their personal charitable work. Our employees have also embraced our payroll giving scheme, donating over £1m from their wages to local good causes. We also support other charitable activities – – we raised enough money for the flying charity Aerobility to buy a new aircraft and our Prestwick centre continues its longstanding partnership with Ayrshire Hospice. When it comes to reducing the environmental impact of our estate, we have tackled a range of issues from reducing energy and water use by 40% to more sustainable commuting by introducing our salary sacrifice cycle and low emissions car schemes. These have helped put over 2000 new bikes and over 1000 low emission cars on the road. In 2017 we expanded the scope of our existing ISO140001:2015 certification to include all our airport towers which recognised our commitment to continued improvement in environmental performance. 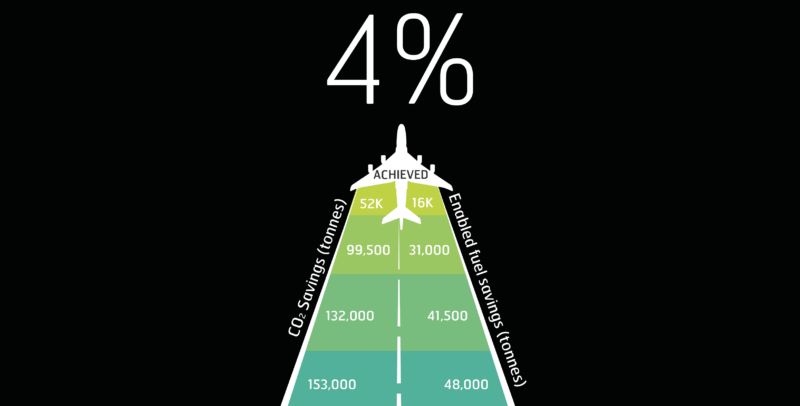 A big part of our programme has been addressing the impacts that our air traffic operations have on CO2 emissions. In 2008 we were the first air traffic organisation in the world to set a target to reduce these emissions – by 10% on average per flight by 2020. In 2014 we reached our interim target of 4% and we continue to deliver improvements. This has partly been driven by establishing Airspace Efficiency Groups at our centres to investigate ways to reduce fuel burn and emissions, along with our Fuel Efficiency Partnership with airline customers. As founding members in 2005 of the Sustainable Aviation industry coalition our collaboration with our industry parties has taken our work to a new level in helping to address the impact of operations on both emissions and noise for local communities. I’m proud of how far we’ve come and I would like to thank everyone who has helped us realise some truly remarkable achievements. Building on everyone’s passion and personal motivations, while reflecting everything that we are doing to transform our business, we are now broadening our remit to encompass all of our responsible business activities and the things our employees care about outside the workplace. We have now launched our new Collectively responsible which will help us maintain our momentum in these important areas. Being Collectively Responsible encompasses the four main themes: supported employees, strong communities, healthy environment and good business practices. I look forward to what this programme will achieve, building on all of the hard work that has taken place so far across NATS. Ian has more than twenty years’ experience in the sphere of environmental aviation issues in Europe and beyond, working for the Civil Aviation Authority and an independent consultancy. Ian is currently Head of Environmental and Community Affairs at NATS, which provides air traffic services to 2.2 million flights a year and to the 15 biggest airports in the UK. Since the launch of its 'Acting Responsibly' environmental programme in 2008, NATS has been able to set stretching targets on its environmental performance, driving innovation in the air traffic services they provide - including the development and adoption of regulatory financial incentives on environmental performance. Ian is part of the environmental research team in the Single European Sky ATM Research programme, SESAR. He is chair of the UK Sustainable Aviation coalition focused on cleaner quieter smarter flying and a member of the Royal Aeronautical Society's Greener by Design Steering Group. Ian advises the UK state member of ICAO's Committee on Aviation Environmental Protection and works with ICAO's Operations environmental working group.